AS children line up to place their present orders with Santa, mums and dads will be putting in orders of their own – court orders on which parent will get to spend Christmas Day with the children. For some families it will be too late, with recently separated couples given until today to make their bid for Christmas and school holiday orders in the Family Court of Australia. 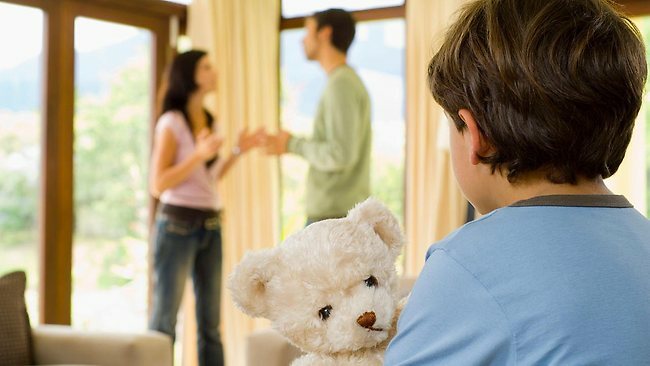 Leading family lawyers have declared it a “tense” time for warring couples who split mid-year and face handovers of children in the often “heated” atmosphere of Christmas Day. “I have had people who have been at the airport and have not realised the other side have put the kids on the airport watch list and the federal police refuse to let them leave,” Family Law Practitioners Association president Deborah Awyzio said. “They ring me and say, ‘I have this order and I can’t leave’. There is an emergency judge sitting during the Christmas period and they do try to lift it quickly. People do miss their flight and if the other party doesn’t consent to lifting the order, it is bye-bye holiday. Expert staff at Australia’s 65 Family Relationship Centres are being “run off their feet” by couples attempting to mediate a Christmas plan after months of juggling shared custody arrangements. Family Law Pathways Network co-ordinator Maria Buglar said 530 staff, including federal magistrates, barristers, domestic violence workers and counsellors were currently juggling cases. The federally funded centres are a mandatory stop for separating couples on their way to settle Christmas orders as they need a “mediation certificate” to prove they tried to reach agreement. If the sides are split, they then head to court to let the judiciary decide. Mediation expert Peter Sheehy said the Christmas order rush was usually followed by post-Christmas disputes over “misinterpreted orders”. “It is stressful for families,” he said. “Both parents clearly want to spend time with their children over the Christmas-New Year break and the tensions are, ‘Do you split Christmas day?’. “You see disputes sometimes when the orders are not clear. It might be ordered that the children are to go back on the Sunday two weeks before the start of the school year. But they might have changed to a private school. Family Law Section chairman Geoff Sinclair said the Howard government’s 2006 “shared parenting” amendments, giving 50-50 time to parents, coincided with a significant drop in Christmas order disputes. “There has definitely been an increase in the amount of time both parents are spending with their children compared to 10 years ago,” Mr Sinclair said. He said lawyers were “seeing a lot less fighting” because of “week about” and similar shared regimes. There was also more recognition of a “child’s right to enjoy Christmas” with both parents. “There is no general rule because every family is different,” he said. “It is better to have uninterrupted time with one parent so the children can enjoy their day. The Family Court of Australia urges parents to make their court applications sooner rather than later if they fail to reach a mediated agreement. comprise the Family Court of Australia and the Federal Magistrates Court of Australia.